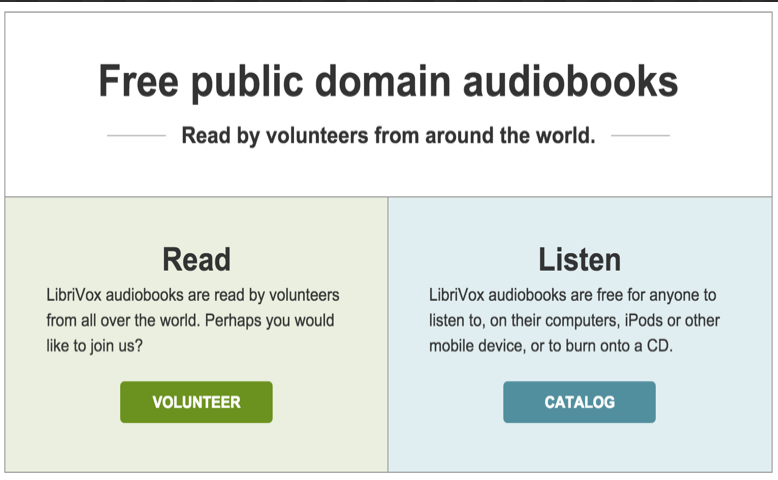 LibriVox offers tons of free audiobooks that you can integrate in your curriculum or use with students in class. Audiobooks range from fiction/non-fiction books to stories and poems all of which are in the public domain. Students can even register in the site and start recording their own texts and share it with others provided the texts are not copyrighted. 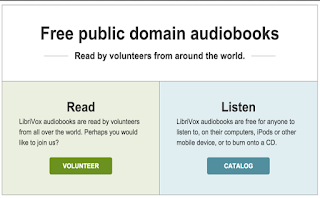 LibriVox allows you to play audiobooks in your browser or you can download them to your computer using another media player or transfer them to an mp3 player. To find relevant materials to use in class, use the site’s search functionality to look for educational audiobooks. You can type in all or part of an author’s name, book title or reader’s name (either catalog display name or forum name) and hit Enter. Click on the blue buttons labeled Author, Title, Genre/Subject or Language under Browse The Catalog to browse by Author, Title, Genre/Subject or Language, respectively. If no results are obtained, try using advanced search. On the Advanced Search screen you have more options for searching and can combine searches of multiple fields to narrow your search.